The supremely stylish Tissot Glamorous owes its innate elegance to a delightfully vintage design. Its pink gold case features oval curves in variations featuring the gleaming precious metal alone or adorned with Top Wesselton diamonds. 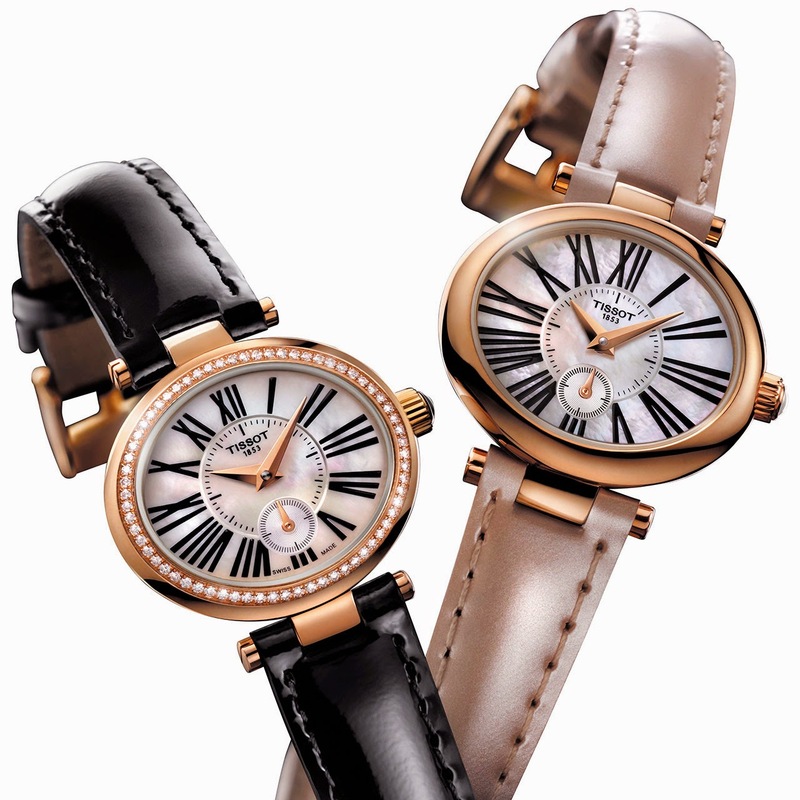 The mother-of-pearl dial carries large Roman numerals surrounding a minute track with a resolutely retro look. Like all stars of the fashion catwalks, Tissot Glamorous appears in a variety of guises designed to fit the unique style of each woman: gem-set or non-set, fitted with a strap in classic black, or in pearly beige for a more feminine touch.